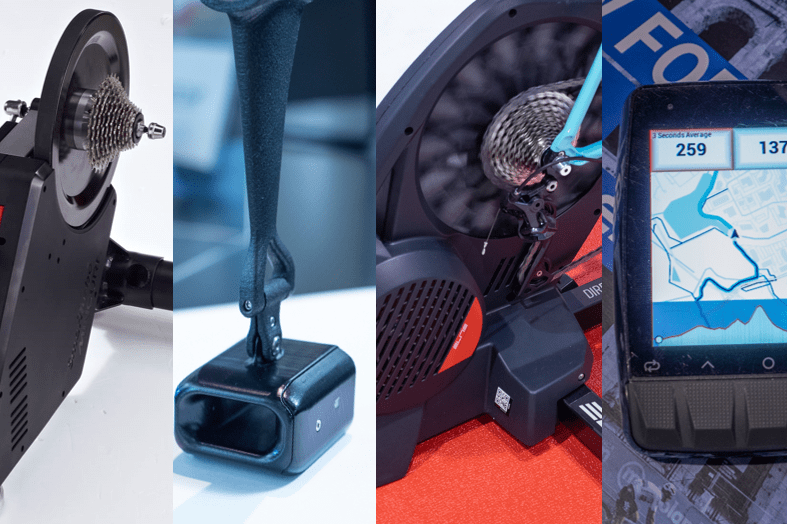 As expected, most of the cycling electronic-related gizmos and gadgets were announced back at Eurobike in July. Still, there were some holdouts. 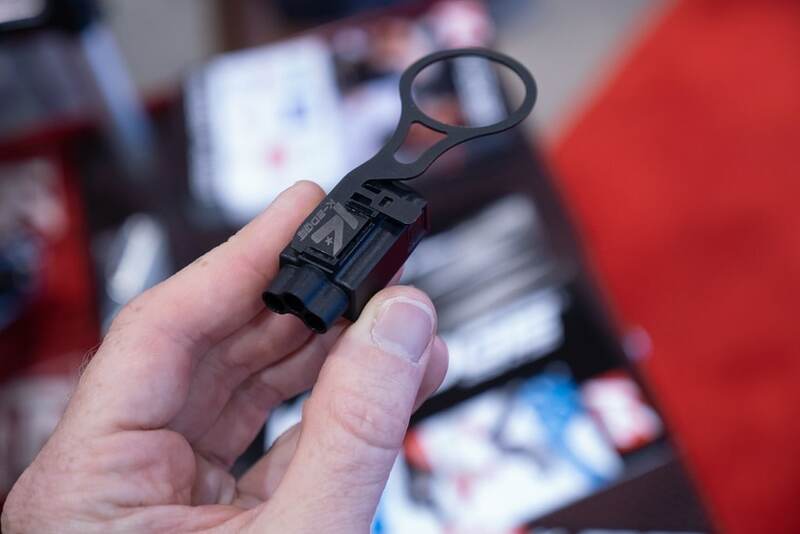 Both announcements that didn’t quite make the July dates and slipped till now, as well as some companies that were simply targeting Interbike from the very start. And then there’s those updates on products announced at Interbike. Got all that? Good. With that, let’s get to the tech tidbits. Oh, and I’ve got a separate write-up tomorrow on my thoughts on the general move of Interbike from Vegas to Tahoe/Reno. 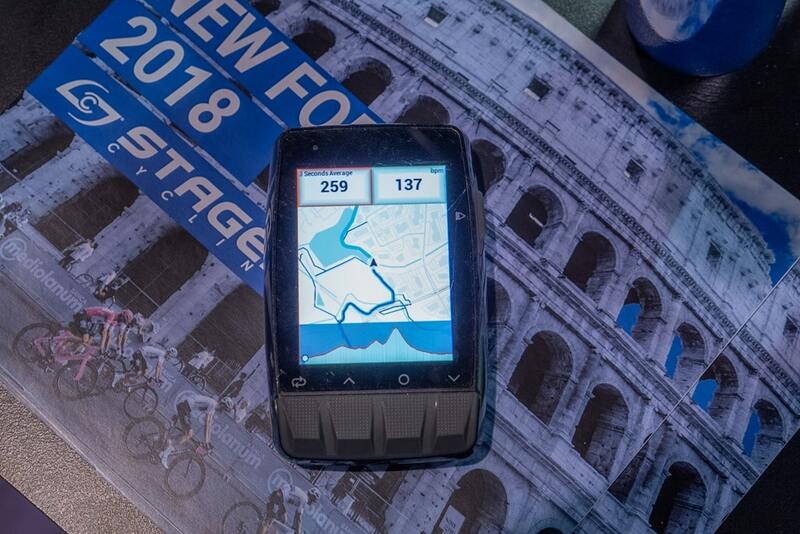 We’ll start off with the simplest of ones – which is merely a date update on the new Stages Dash GPS bike computers. These units were announced at Eurobike with the intention to ship roughly next week. That’s not exactly going to happen. 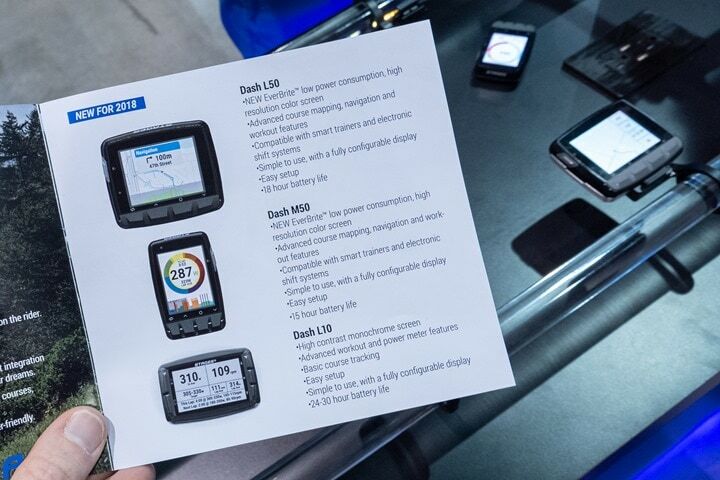 But to back up very briefly, Stages had announced three new GPS bike computers, the Dash L50 and M50, and then a revamped original Dash unit with better guts called the L10. 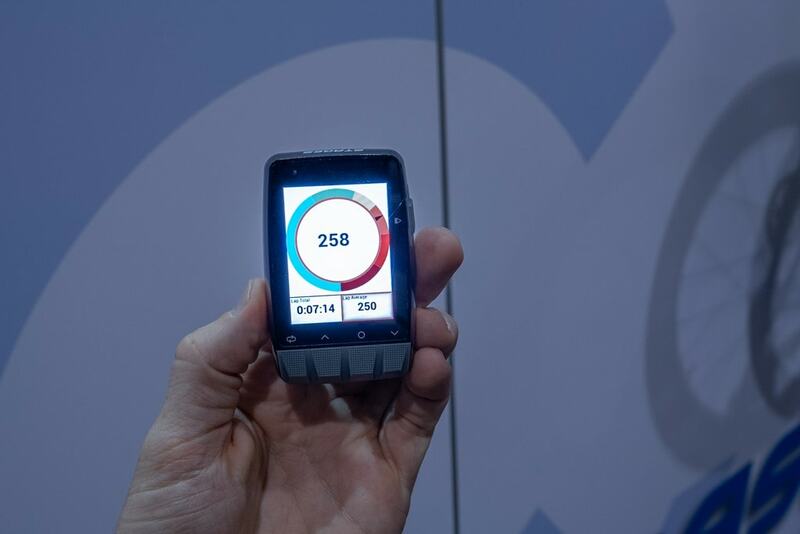 At Interbike, they had these on display, and in a fully functional ‘poke as you like’ setup. They might not be done, but at least one could go through the menus and check out the screen clarity. Speaking of which, the screen brightness here is legend. Seriously, there’s nothing like it on any device I’ve had to photograph in years (except perhaps a TV screen). I’d even go insofar as saying it’s pretty miserable to photograph, though, it looks awesome in real-life. Sorta like peanut-butter really. Looks like crap in all photographs, but tastes amazing. As far as functionality goes, I was able to get a brief walk-through, but the proof is in the pudding (or peanut butter), and that will be testing – likely in late October or early November for me. I’m looking forward to it, and in particular to seeing how well the claimed battery life (18hrs) holds up with the lighthouse of a backlight. It’s one of the main things that Stages is hanging their hat on when it comes to the new hardware. The current timing is likely late November for shipping, though given that time of year isn’t the peak of outdoor cycling, they aren’t super wed to an exact week for release. After all, they’d rather just get the product right. And by ‘new’, I mean, kinda new. I’m actually not entirely confident anything has truly changed with hardware here, but, if nothing else you get a riser block out of it. Still, let me try and give it a go. The original Elite Direto was released/announced a bit over a year ago at $899, and was enormously popular. Without question it would take home ‘trainer of the year’ award in terms of best value/etc. Solid accuracy, relatively quiet (not silent though), and it worked with all your favorite apps. Not to mention being direct drive. At the time there was only the Tacx Flux 1 out, and it had a rough go initially. 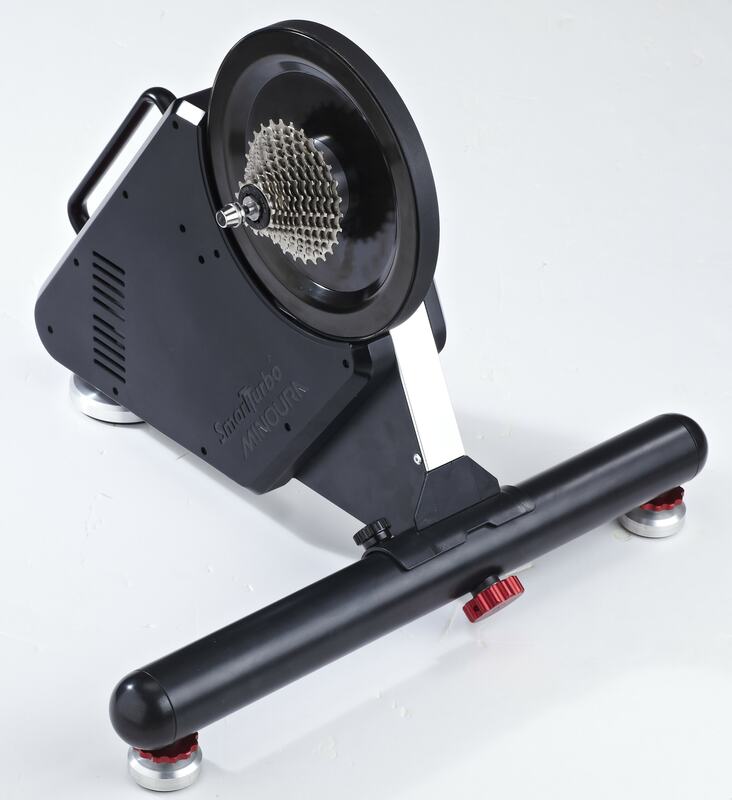 Fast forward to this past July and Wahoo announces the KICKR CORE trainer, also at $899. Except, that trainer was now legit silent, and had a bigger flywheel which meant better road-like feel. Essentially it was just a 2017 KICKR under the hood made silent. Both Tacx and Elite pretty much just shook their heads and said FML. Tacx had a plan though – a lower cost version of the Flux 1, called the Flux S, which they announced last week (down at $749) – which counters Wahoo pretty nicely and saves the consumer $150 but requires them to give-up silence. Meanwhile, Elite also countered. They lowered their stock of Direto’s down to $799 (which is what the Flux 1 was down to as well). The key thing they offered was simply availability. With Wahoo not starting to ship until early September (and now backordered well into fall), they were offering a ‘get it today’ solution. But that price basically wasn’t sustainable long-term, so Elite countered with an updated Elite Direto trainer. This trainer had ‘increased accuracy’ at +/- 2% instead of the +/- 2.5% of the original Direto. Also, they tossed in a riser block for your front wheel. The price reduced slightly from the original price of $849, and the name? Well, that’s a bit confusing. Officially there is no ‘new’ name. Unlike Tacx’s move, Elite just kinda rolled with it as before. Call it what you want I suppose: Elite Direto II, Elite Direto V2, or perhaps the Elite Direto (2018). Either way, now you’ve got a riser block. And also, “increased accuracy”. Though frankly, it was basically always that accurate to begin with (as myself and many others showed in testing). It goes without saying that Elite’s in a tough spot with the Direto specifically against the KICKR CORE longer term. For now it’s not too bad, because Wahoo isn’t going to be able to keep up with orders anytime soon. But eventually they will. At which point it’s hard to see why someone would pay roughly the same amount for a trainer that’s louder and doesn’t have as good of a flywheel (or a small pile of other smaller reasons like lack of CLIMB compatibility, or the dominance of Wahoo Bluetooth trainer control support in smaller apps that you might not use). On the flip side, the Direto does support built-in cadence, which Wahoo doesn’t. Hopefully Elite sorts out some longer-term solution, either by tweaking prices or something. In unrelated news – I spotted a ‘Zwift Certified’ logo. Haven’t heard of that before, will have to do some digging. Out of the 8-9 different aerodynamic companies on the market today, Velosense has been one of the quieter ones, until now. I actually met them last year at the ANT+ Symposium, and like everyone else, they’ve been chugging away on their product. Interestingly, the entire team behind this unit comes from a background with Formula 1 cars and measuring aerodynamics there. It was fun chatting with them about the differences (both pro and con) of measuring aerodynamics on race cars versus on a bicycle. For example, on a bicycle the wind speeds are lower – making it more challenging. Whereas on a car, the forces are higher, which makes that more challenging to deal with product-wise. In any event, their first unit is named the CdA01, and looks unlike anything else we’ve seen before. And unlike most other units on the market, it’s slated to measure yaw angle (basically wind direction), up to 30° for accuracy at +/- 1°, and up to 50° at +/- 2.5°. The unit of course also measures wind speed, with accuracy stated at +/- 1% for up to 30° yaw, and accuracy at +/- 2.5% at 50° yaw. In addition, to demonstrate their barometric altimeter resolution (+/- 50mm, or 5cm), you could place it atop your head. The screens were configured to show the difference compared to floor level. So, in essence, it was measuring your height (and doing so instantly as you moved). I’m 6’2”, and it pegged me at 6’. Close, but not yet perfect. Of course – that’s also pretty darn good for a unit still almost a year away. The product will transmit across ANT+, and they are one of the members of the ANT+ Technical Working Group (TWG) for aerodynamic sensors. As such, they plan to fully use that upcoming ANT+ device profile for aero details. The unit is slated to get about 30-hours of battery life, which is more than most others I’ve tested. 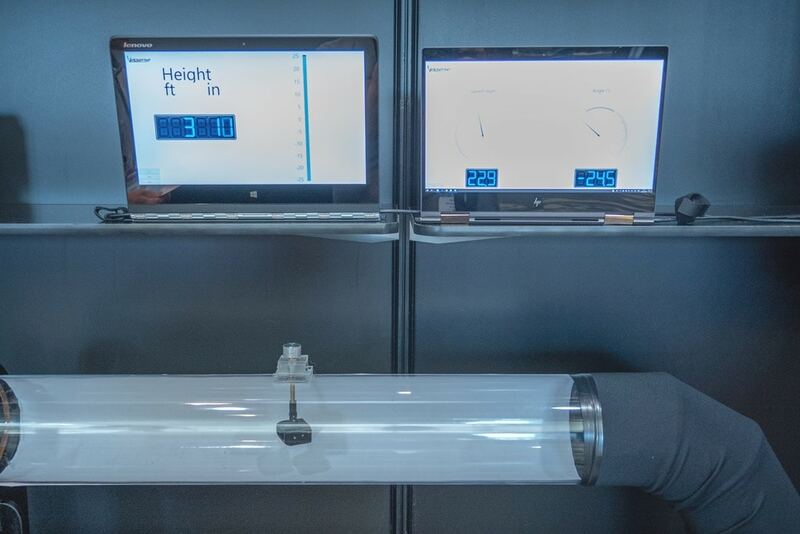 The weight comes in at less than 40g, and they claim “CdA repeatability” at +/- 1% for up to 20° of yaw for speeds greater than 20kph. Availability though is still some ways away. They’re currently slating summer 2019, with a price point of just under $1,000USD. Obviously, most companies in this product space are moving pretty slowly, largely due to the complexities of the space and the newness of it all. Still, looking forward to diving into the product more down the road once they’re ready. If there’s anyone dependable year after year for having new gizmos at shows, it’s usually K-Edge. Mind you, they don’t always have a ton of gizmos, but like grandpa with candy – there’s always something. And unlike most gizmos, this stuff is silly quick and easy to explain. First up is a new Wahoo compatible TT/triathlon mount. It’d be compatible with the Wahoo ELEMNT/BOLT, as well as the Pioneer head units that were just announced. This TT mount is notable because it also allows you to attach K-Edge’s GoPro mounts to the bottom of it. Many people use GoPro mounts for other purposes besides GoPro’s of course. 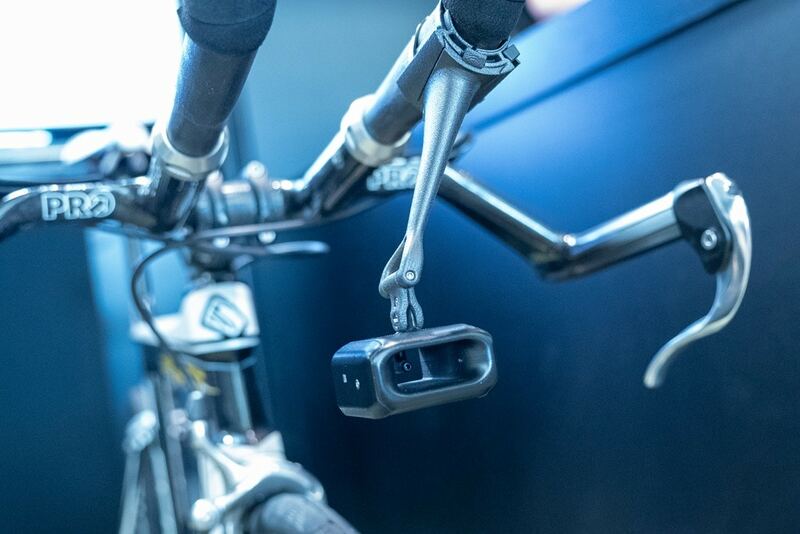 For example, a number of the new aerodynamic sensors aimed at the TT/triathlon market are using such mounts – making it a great mount option for triathletes wanting a dual head-unit/aero sensor mount. Now, only if Wahoo would support such aero sensors. The Wahoo TT mount is $54, and available immediately. Next, they’ve got a new adapter plate for Lezyne units. 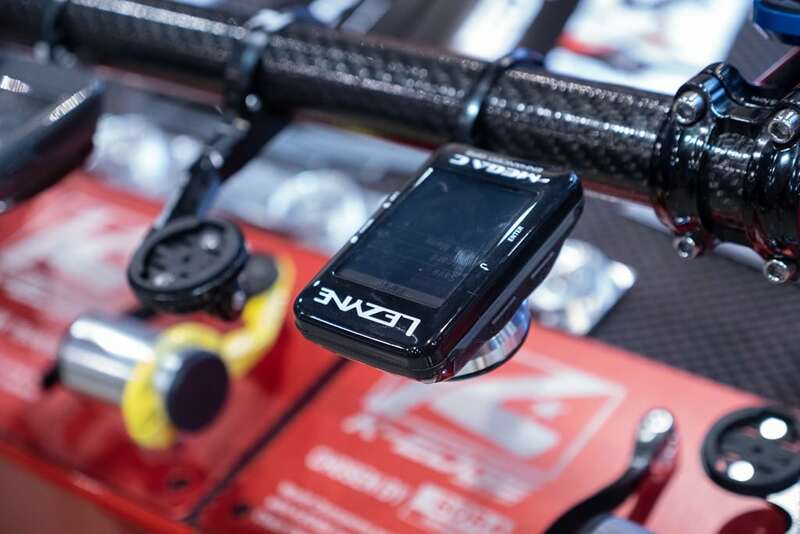 Lezyne, of course, has been doing fairly well in making more affordably priced head units, though their mount has always been a bit ‘complicated’ for 3rd party mount companies. K-Edge worked with Lezyne to come up with an adapter plate that makes it work with existing K-Edge mounts. So if you’re converting from another bike computer but have a K-Edge mount, you can simply pick up the adapter plate and be off and running. The pricing for this mount hasn’t been finalized yet, but should be in-line with existing mount prices the company says. It’ll be available to ship within 30 days. Finally, there’s a new Di2 junction box mount, which is designed to ever so thinly slip where your spacers on your headtube go. The super-thin machined plate will then just hang out there, far cleaner than zip ties or other wonky setups I’ve seen. This new Di2 mount is only $15, and available to ship immediately. Finally, we’ve got the Minoura Kagura DD…with the DD standing for ‘Direct Drive’, obviously. What else would it stand for? – Cassette Support: Shimano/SRAM 9/10/11 speed (they’re working through details on Campy support, but you can see in the picture above it was actually used at Interbike with a Campy cassette). – Sound: Quiet, but not totally silent. Speaking of Shane, he did get a quick video put together showing him jumping on it at Interbike (at the 5:31 marker), he found the road feel quite nice. In talking with Minoura, they’re hoping to have a final production unit to me by mid-late October for full review. In looking at things with the wheel-on Kagura DT, I think they’re definitely over the hump of early accuracy issues they had all last year. My data is really solid once I’ve done a spin-down/calibration. With the new DD unit, you remove the entire tire-pressure aspect of roll-down, which should dramatically help stability of accuracy readings from ride to ride on the DD. But more than that, we need to get back to that 25% incline thing. Holy balls. There’s nothing in this price range that has that. The only other 25% grade option is the Tacx Neo, but at $1,369 (almost $500 more). And that flywheel? Again, almost nobody has anything like that except the Tacx Neo. The Wahoo KICKR 2018 is 16lbs (compared to 22lbs for the Kagura DD). The +/- 3% is perhaps a bit outside of the +/- 2-2.5% we’re seeing of others, but perhaps it’ll be like Elite’s Direto where it does better than spec. The most non-delicate way of putting this is that as long as there’s nothing totally screwed up on power accuracy or feel of the final unit – this could be a bit of a dark horse coming out of the trainer world. Obviously, it’s not silent (and there was no way to judge it at Interbike, given it was outside in a busy convention area), but as long as it’s relatively quiet – this could be a really solid contender. Again – Minoura’s done some really good work with the Kagura DT (albeit I think at a tougher price point), so with the much more appealing price-point of the DD, they stand a legit chance to make some inroads here after many years of being in the trainer game…but not really being in the trainer game (at least in North American/European markets). Anyway – more to come! Did you get the chance to check up on Scosche and their Rhythm 24? Or will that have to wait till the Ant+ symposium? I’m chomping at the bit to get something for Zwift running, but don’t want to get a footpod if they are/will be through their teething issues first, but also don’t want to wait forever! Also would like to know that it’s at least in the milestone pod accuracy area roughly if I were to decide to get the Rhythm 24 for Zwift instead of a footpod. I actually stumbled into them at the Outdoor demo out riding. They’re pretty close on the swim bits, but we agreed to talk more detail at the ANT+ Symposium next week. Do you know why with the original and now the new one Scosche seems unwilling to measure heart rates under 40bpm? My resting is typically 32 and I can’t use theirs to measure my resting because the lowest they go is 40 and for the life of me I can’t figure out why they won’t and a few years ago I asked their support and got no answer. I’m a Rhythm 24 owner, and as far as I am aware (and the manual claims), it only measures running cadence. Zwift running mode needs run pace, so you’ll still need some sort of footpod. I have used my Rhythm for Bluetooth heart rate in the Zwift iOS app and it’s great. I’d definitely buy another. I do not use it for my run cadence however. It’s usually quite inaccurate and I prefer to let my Stryd handle measurement at the foot. I hope that Zwift doesn’t accept the Rhythm 24 (or any other armband for that matter) for running pace because arm swing is completely independent of stride length. I can stand completely still and swing my arms fairly quickly — far faster than I can actually run. I’d hate to see “fliers” come to Zwift running. I assumed for running speed that you would put it on your ankle/lower calf (same as for cycling cadence) and that it would be calibrated for speed from there. Would def. make sense if that still wasn’t good enough position wise too though – I could see it either way. 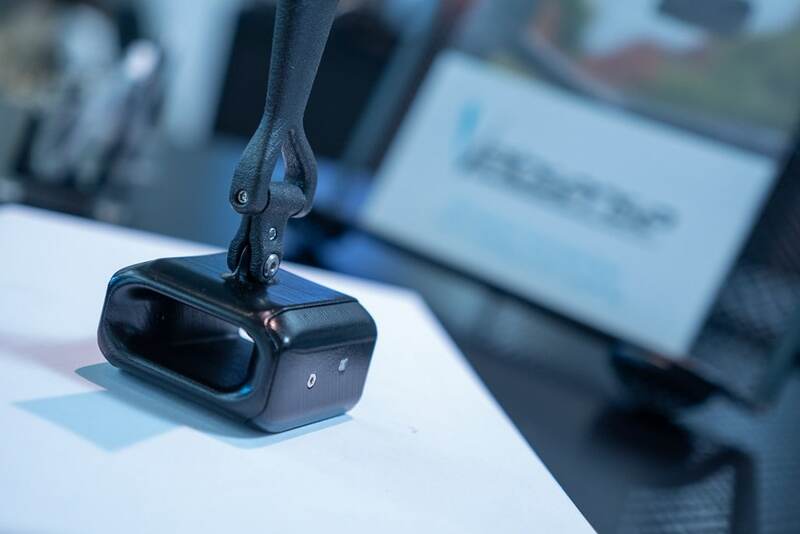 My 935 is fairly accurate from my wrist – sure it can be fooled, but if you’re really looking to cheat you could probably bounce it in your hand the right way easily, and you can also very easily deliberately heavily miscalibrate footpods. Btw, it does do cycling cadence too right? Like I was pretty sure that was a thing? I assume it HAS to go on the leg for that, right? And thanks for the update Ray! I have the Rhythm24 and the cycling cadence works from the arm (I’m not sure the strap would fit around my leg). I did some testing with it because others where asking about it in the Zwift facebook group, and found the cycling cadence was surprisingly accurate. It never disagreed with my Garmin crank arm cadence sensor by more then 1 rpm. I tested it over quite a few different conditions (drops, hoods, top bar, 80-115 cadence ramp, 60rpm standing climb). The only problem was that there was a few drop-out glitches, almost all happened when I was reaching for food, or playing with the bike computer. It didn’t seem to make a difference if you took your arm off the bars, but if you used that arm to hold something, then I think you automatically balanced the arm and it couldn’t sense the cadence anymore. I did have one 200rpm glitch which I had no idea what caused that. The glitches didn’t really bother me that much since they aren’t like power drop-outs, and it doesn’t really effect your final numbers, or the numbers you use while riding. Overall, I was really impressed, though I don’t use it because I either have the Garmin crank arm, or my powertap p1 pedals. Yeah, I guess I’m curious what that means. Is that a Zwift certification process (with testing? ), and if so, what’s the requirements? Hahah the peanut butter anology, so funny I was telling that to my hubbie just about this morning at breakast time, It is ugly but yummie isn’t it! It’s so exciting to finally see some 3rd party Lezyne mounts. I’ve had my Lezyne for like two years and every couple months I would shoot an e-mail over to K-Edge and Barfly to ask if they have anything in the pipeline for it, and they never did. They use their own quarter turn mount that apparently nobody else could figure out how to replicate. They sell their own out-front mount that’s pretty inexpensive, but if you want to do a GoPro combined mount there’s been no options except for a $50 aluminum combined mount that used your stem faceplate bolts that was up on eBay for a few months earlier in 2018 but has since disappeared. My Super GPS is holding up pretty good and has had a bunch of features added via software, but it’s been so annoying not being able to find a reasonably priced combo mount. In regards to the Direto, do most direct drive trainers need blocks as well? I’ve always used a trainer block with my old trainer. When I got the Direto, it was lower, but still needed a 1.5″ block (with 700x25c tires). I guess there’s no easy way to raise the back of it, so they assume that you could theoretically be on a 29×2.5″ mountain bike in the front and design it to be level for that and require a block for anything smaller? It caught me by surprise since the reviews usually don’t mention it. I assumed that they would be designed to be level with a 700×25 road tire since that’s probably the most common thing that would be used, but I guess not. 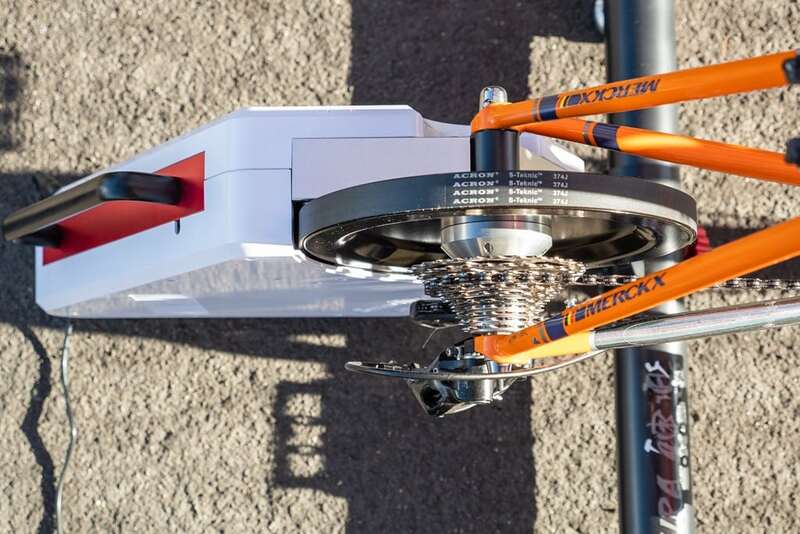 Which got me thinking – is there a significant variation in skewer height off the ground among various brands of direct drive trainers? The Direto is about 1.5″ higher than a 700x25c wheel, and it took a bit of searching to find a 1.5″ trainer block – most are 2.5″-3″. Is Wahoo and Tacx the same? Many direct drive trainers do need riser blocks, and some include it – or some don’t worry about it given how cheap they are on Amazon. I kinda just mix and match honestly. I found that a nice piece of scrap 2×6 wood I had lying around worked perfectly. And was “free”. As a supplement, I had some other pieces of scrap that I screwed to the wide dimension of the 2×6 to create a channel of sorts to fit a wheel into. 1.5 in/3.8 cm thick and works like a charm. I will say that my Direto has been perfect for the past year. And I don’t have any remorse for not having something else, nor do I feel the need to have the Kickr Core. 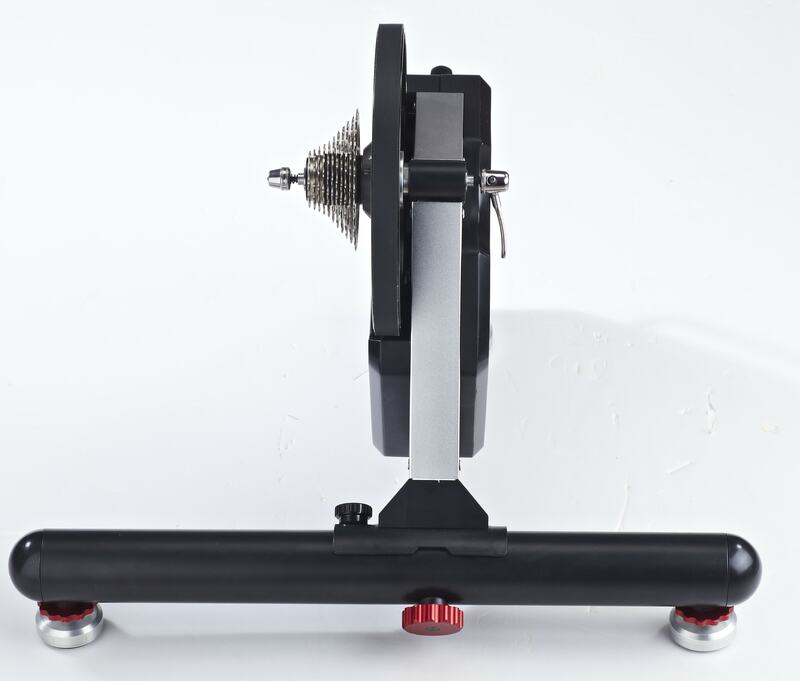 I sold a Kickr Snap (with an off-center or asymmetric roller) to fund this trainer and it was worth it. 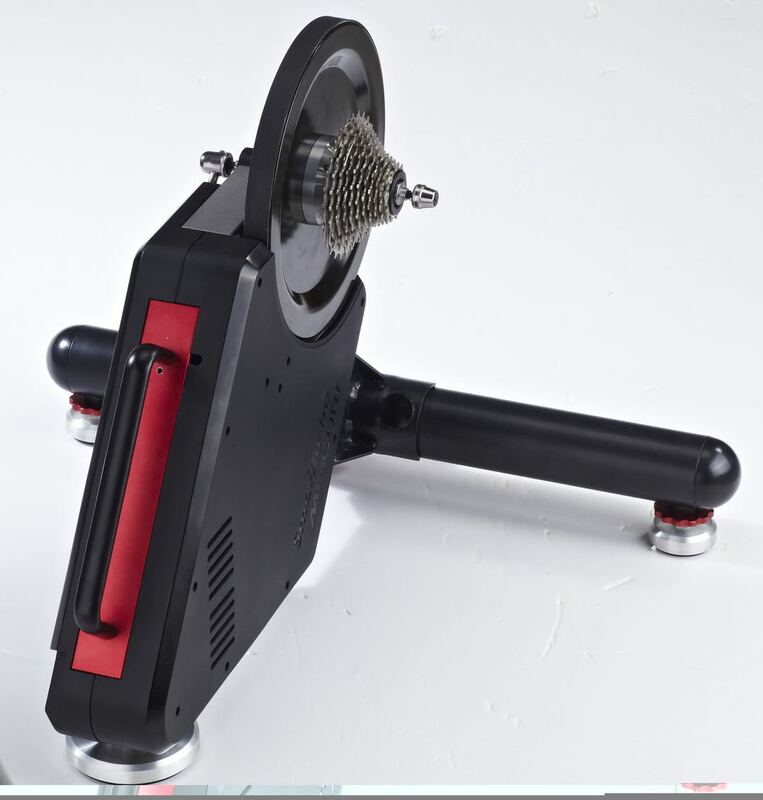 Have you ever asked direct drive trainer manufacturers why they build their trainers to require a riser block, at least for 700c wheel bikes? Seems like a poor design decision. I suspect mostly due to crank arm clearance aspects, in ensuring there’s clearance there for riders of all sorts of bikes with differing wheel sizes. Else you’d have to go to a Wahoo design of allowing adjustability, which increases cost. It’s funny though, I actually prefer a wheel-block on all trainers, as I don’t tend to like my front wheel wobbling around. Interesting to see the Di2 mount. My new bike is going to have an internal junction box with most of the wires hidden inside the bars. Isn’t this the way most bikes will be going? Seems the K-Edge (who I know make great products) are a bit late on this one? I think most are going internal, but there’s plenty of people with existing bikes that this is really aimed at. TIL. Thanks Joe and Eli! Why do trainers quote incline numbers? Surely that’s a bit false? The rating is surely max power? It’s confusing, no doubt, and does depend on weight. Most companies use a 70kg rider as their assumed weight. It’s a topic that both GPLama and I want to dive into deeper and put forth some standards (and trainer companies actually agree as well). Wouldn’t a more consumer friendly rating be something like Max Power @ speed? And then show a table with defined speeds / gear combinations @ 90 rpm cadence. Isn’t the above really what matters? 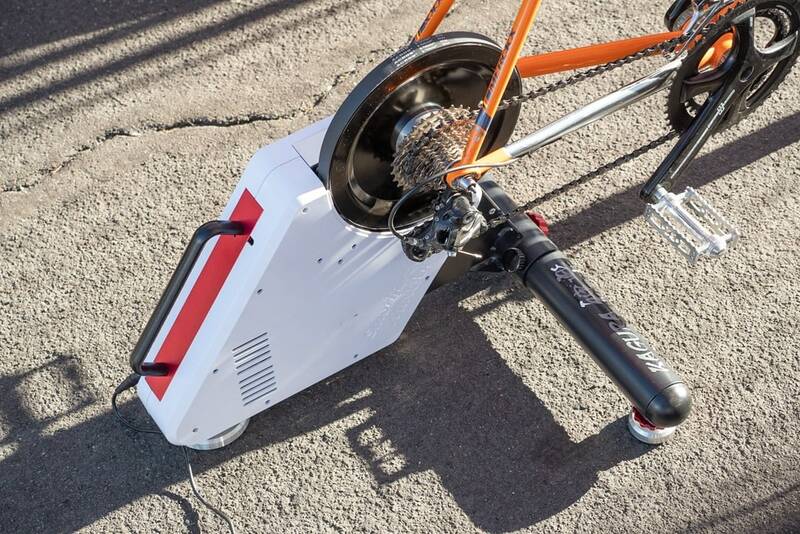 How many watts can the trainer provide (put out?) given a specific gear combination / speed? It’s actually max resistance for a given weight at a given speed (making things even messier). There’s some ideas on how to standardize this a bit, and I’ve seen some neat chart/graph ideas too. In theory they could supply graph of max simulated incline vs cyclist’s weight. I remember Tacx used to provide nice interactive graphs of max trainer power vs speed. From those graphs one can calculate equivalent road grade for a given cyclist’s weight. 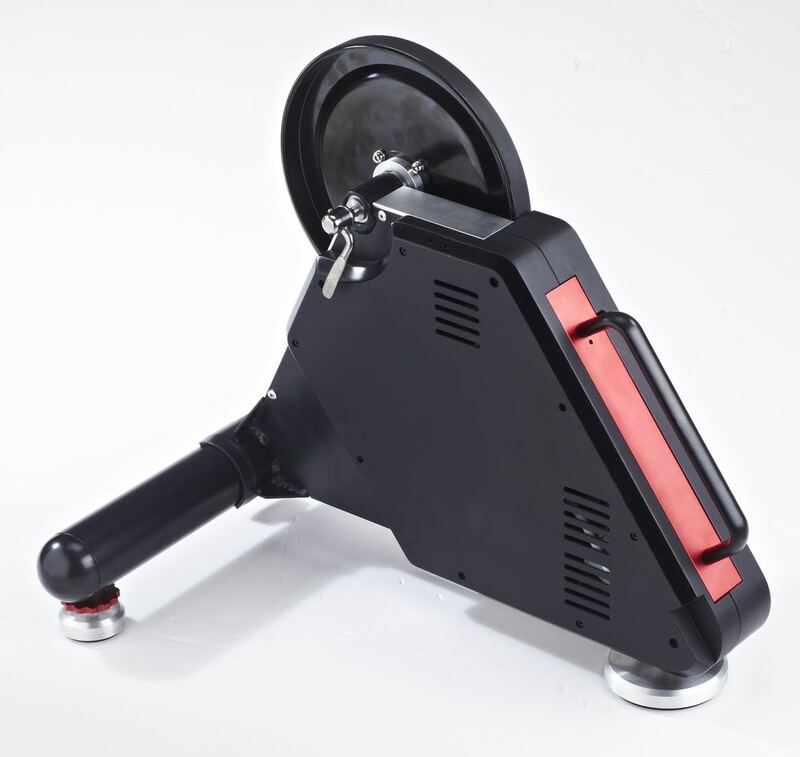 Ray, are there ANY direct drive computer controlled trainers that will mount on the 120mm track bike standard? Pretty sure the answer is no, but asking anyway just in case. +1 I would like a fixed gear direct drive trainer for my track bike. I’m a little disappointed that K-edge hasn’t come out with a better center-mounted computer mount. Something that attaches to the stem bolts would be ideal. I know it’s tough to manufacture something that’s compatible with every single stem, but companies like Fetha and FormMount have figured it out. I just ordered a Fetha after having a K-edge forever. Fetha and Form Mount look really cool. Wish Fetha supported under mount devices and Form Mount was slimmer. 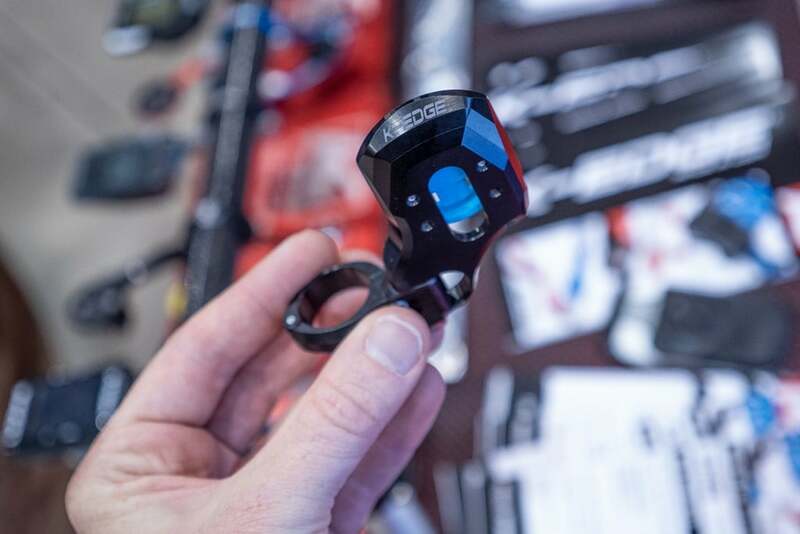 Have you noticed the work K-Edge did on the new Enve Aero Road Stem Mount and their Splayd Race Mount for integrated aero bars? Not nearly as universal as the Fetha or Form Mount but it shows that they’re working on center mounts. Wish those options didn’t have “not combo mount compatible” etched on them but looks like their Combo Mount Interface will bolt on but the units are probably not designed to support the weight of both top and bottom mounted gadgets. 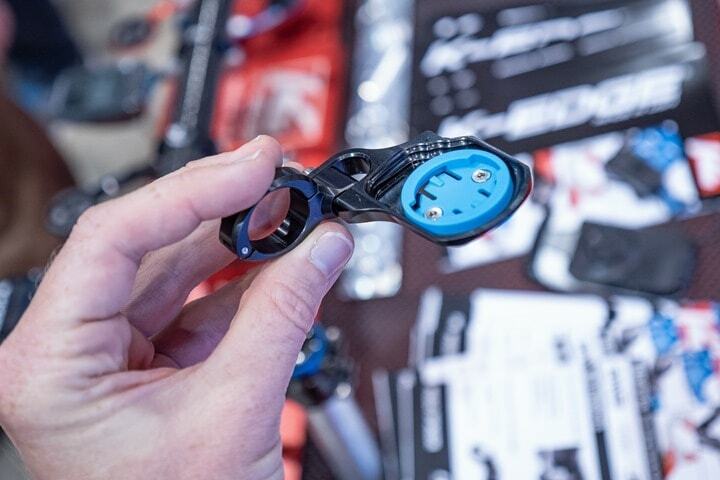 When is the new K-Edge Wahoo TT/triathlon mount available to purchase? That doesn’t look like the one in your picture on this page. That one has the mount forward of the hinge. 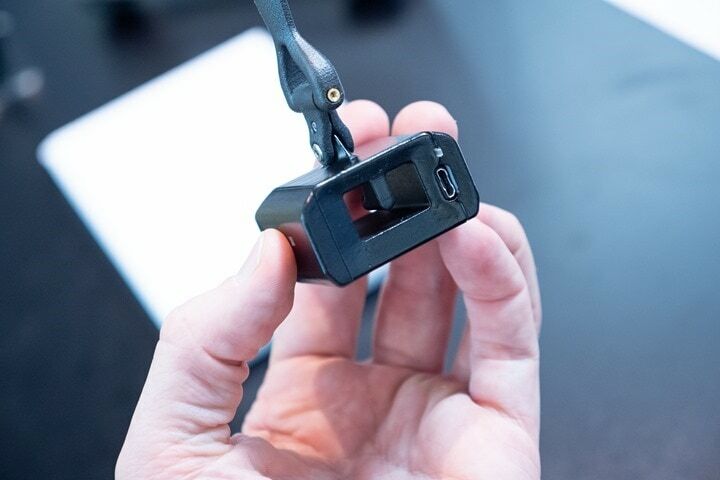 The one on the K-edge website has the mount *at* the hinge. I’m sure the aero devices need to be in clean air to do their job but certainly hope manufacturers find a way to make their masts shorter and less obtrusive on their way to production. Glad to see mention of the Tacx Neo again. I was hoping for an update to the Neo this year. Bluntly, ~$1,400 for all of its features is almost more attractive than the products at the $750-900 price. 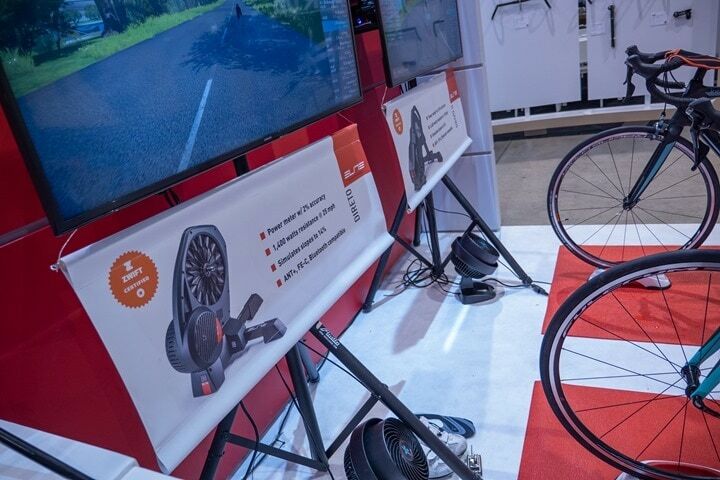 The electric virtual flywheel that simulates downhills and rough surfaces is really enticing and I’m hoping they advance that tech to reduce the 2nd gen Neo’s weight and size. The slight wobble in the design seems like a better way to make an indoor torture device as easy on the bottom as a Kinetic Rock and Road. Make it fold up even more neatly, add a bigger handle, make it even quieter and offer it in a lighter color and I’ll be even more on board. It seems like market pressures would also drive the cost lower, too. With all of the widgets to place in front of a bike on a trainer these days, when will convergence occur? 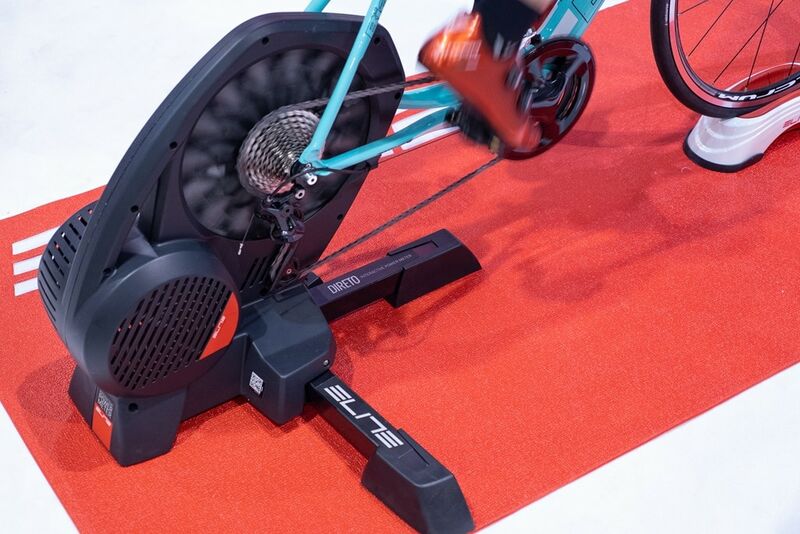 A lightweight and foldable, trainer brand agnostic, fork mount gadget that silently blows a variable output breeze at us while simulating incline and road feel simultaneously charging and holding a tablet/phone with integrated speakers would make indoor torture sessions almost bearable. Carrying a trainer in one hand and such a single fork mount gadget in the other would make it real easy to carry your fully immersive experience to friends’ homes, too. Neo doesn’t need much to stay competitive. 1) Adjustable height legs/feet cups. 2) Handle. 3) Bluetooth FMTS support. Thats about it. Just like all direct drives, it’s heavy. Potentially, advancing the electric motor configuration of the Neo provides the opportunity to reduce overall product weight while still delivering excellent road feel. Compared to the new Wahoos, it has an opportunity to get quieter. Doing that with the electric motors would be quite a trick though. In addition to having a more accessible handle, It would be nice if the cassette were fully covered when it is folded. Loosely related to the topic of Bluetooth FTMS support, I’d like two improvements in trainer applications, like The Sufferfest. I’d like them to support multiple devices that measure the same metrics. 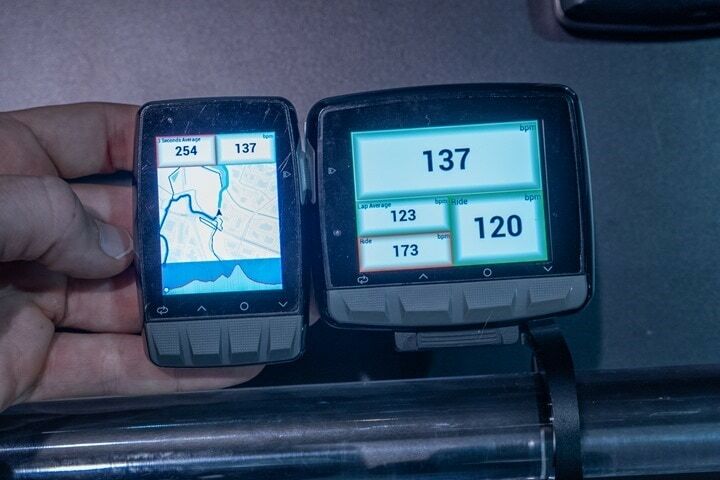 In addition to a smart or interactive trainer that transmits power, estimated cadence and sets the trainer’s resistance, it would be nice for the software to pair with pedal or crank-based power meters for delivery of measured cadence and separately measured power. The other Is improved correlation of speed and distance to the real world. All of my trainer rides are logged as very short and slow in comparison to my road rides of similar duration and output. I think this is due to most trainers correlating high power training to climbing and that is not the case in the real world. Almost every real world ride I do is a loop with equal descent to climbing and no trainer sessions ever log descent. So, in my experience, trainer software needs to do a better job of modeling real world riding including fast riding on flats and declines. Maybe interactive trainers (that I haven’t experienced) do this properly and make up one of the reasons I should invest in one? How do you pronounce “Lezyne”? Rhymes with vine, design, stein, etc. Leh-zyn. Any one of these items can make the entire trainer sound dramatically different. I think I might put together a funny video showing just this some day. Maybe I’ll pretend to be different people on YouTube, just to demonstrate how different I can make a single trainer sound. All of which makes doing repeatable tests over the course of years very difficult. So instead, I’m going to focus on ‘in the now’ type tests by showing two trainers side by side in as close of conditions as possible. Heads-up for Velosense: I no longer buy devices that use micro-usb. I’d wager you won’t be buying a head unit or aero sensor anytime soon then. While I love USB-C as much as the next guy, I’d hardly consider it a blocker for purchase. I’d rather the best possible device from a functionality and accuracy standpoint, than a crappy device with a USB-C port. 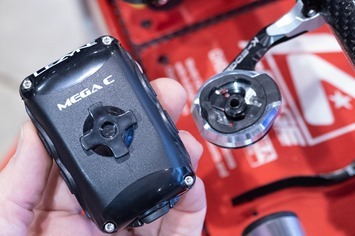 I’m very curious about the new Lezyne Mega products. Can we expect an In-Depth Review of the Lezyne Mega XL and C? When the answer will be yes, when can we do? Yup, we’ve been chatting quite a bit about it. I was supposed to get units at Interbike, but forgot to swing back around at the end of the day to grab them (since I didn’t want to carry them all day). However, they’ve shipped one to me back in Amsterdam for when I get back home. Tat’s actually really darn cool. Surprised they didn’t think to mention it to me. Neat stuff though.